Our web portal allows users to create reports in a few minutes, all in accordance with international WHO, U.S., and Canadian standards. One of our very popular features is recurring reports, where you can create a variety of different reports that auto-generate at specified time intervals, easing your workload. This feature allows you to completely automate your reporting by auto-generating a new report on a daily, weekly, monthly or quarterly basis. Combined with our automatic emailing feature, you will be able to auto-generate a recurring report that is then auto-emailed to specified individuals. 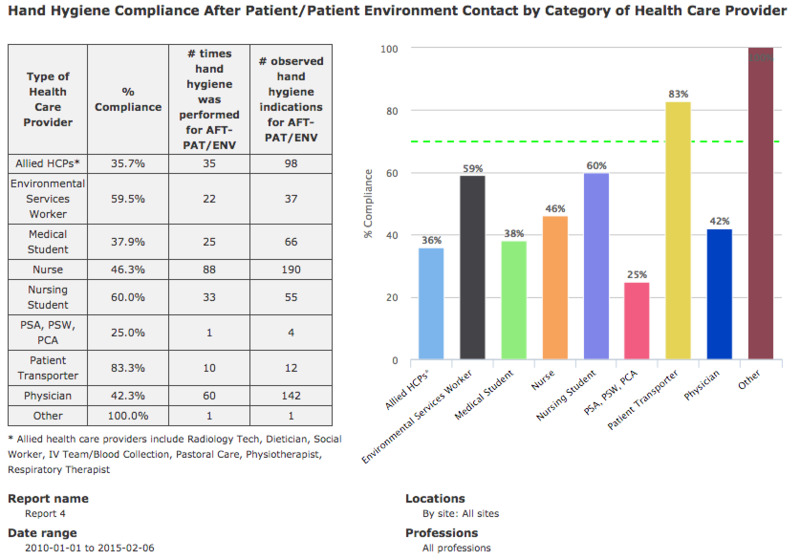 For example, if you would like your senior staff to receive a weekly hand hygiene report in their inbox, SpeedyAudit can automatically create and send the reports for you!